Provide comfort for the family of Priscilla M. "Perce" Edge with a meaningful gesture of sympathy. Priscilla M. "Perce" Edge, 86, of New Diggings, Wisconsin, passed away peacefully at Mercy Medical Center in Dubuque, Iowa, on February 13, 2019. Services will be 10:30 a.m. Monday, February 18, 2019, at Casey Funeral Home & Cremation Services in Cuba City with Rev. Bill Vasey officiating. Burial will be in Shawnee Cemetery, New Diggings. Friends may call from 2-6 p.m. Sunday and 9-10:15 a.m. Monday at the funeral home. Priscilla was born September 18, 1932, to Guerdon and Hannah Fern (Edwards) Steinhoff in Cuba City, Wisconsin. She attended Cuba City High School. On September 23, 1949, she married William "Bill" Edge in Cuba City. Priscilla worked in her parents' greenhouse and also on Bill's and her farm. Later on she worked with her brother, Beauf, in the greenhouse. She developed a great love of growing, cultivating and arranging flowers, a love she passed on to her children. Priscilla was a member of the Primitive Methodist Church in New Diggings, Dorcas Class and Prospectors Homemakers. Priscilla enjoyed the simpler things in life, any kind of card game, spending time in her flower or vegetable gardens, visits from her many friends, an occasional trip to the casino and of course, spending time with her children, grandchildren and great grandchildren, as well as her brothers, sisters-in-law, brothers-in-law, and her many nieces, nephews and cousins. Priscilla is survived by her children, Phyllis (Harold) Peart and Charles (Nancy) Edge, both of New Diggings, Diane (Elton) Self, of Scales Mound, IL, and Karen (David) Lacke, of Shullsburg; her brother, Gary Steinhoff, of Cuba City; a sister-in-law, Jean Edge, of Shullsburg; her grandchildren, Andy (Heidi) Peart, Ken (Jolleen) Peart, Nicholas (Melissa) Distler, Meg (Russ) Yurs, Nathan Distler, Terry (Jen) Edge, Melissa (Chris) Wachter, Matthew (Shelly) Edge, Jennifer (Jeremy) Winkler, Michael (Kisstin) Edge, Abby Lacke and Sarah Lacke; 27 great-grandchildren; and special friends, Edith Vickers, Martha Robbins, and Kenneth Olson. She was preceded in death by her parents; husband, Bill; granddaughter, Julie; and her brothers Beauford, Clifford and Ronald. The family would like to thank the staffs of Willow Valley, Mercy Medical Center and Hospice of Dubuque. 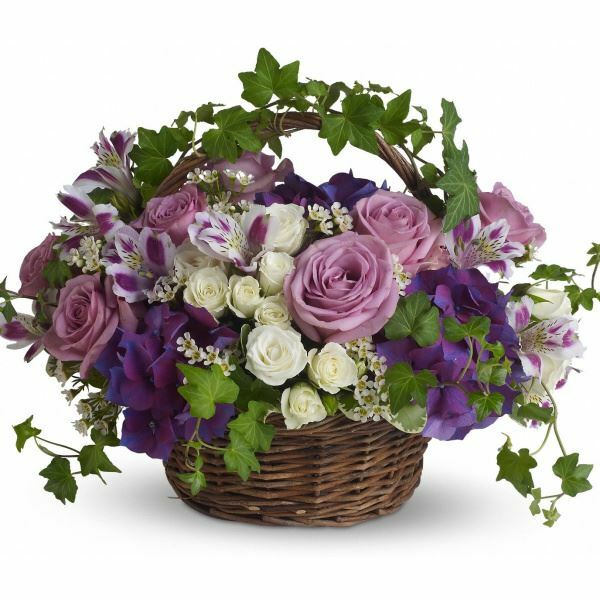 To send flowers in memory of Priscilla M. "Perce" Edge (Steinhoff), please visit our Heartfelt Sympathies Store. Friends may also call from 9-10:15 a.m. Monday at the funeral home before the service. We encourage you to share your most beloved memories of Priscilla M. "Perce" here, so that the family and other loved ones can always see it. You can upload cherished photographs, or share your favorite stories, and can even comment on those shared by others. The Laird's and their families, The Carters, Dean,Sonia Nick and Terra, and others have sent flowers to the family of Priscilla M. "Perce" Edge (Steinhoff). 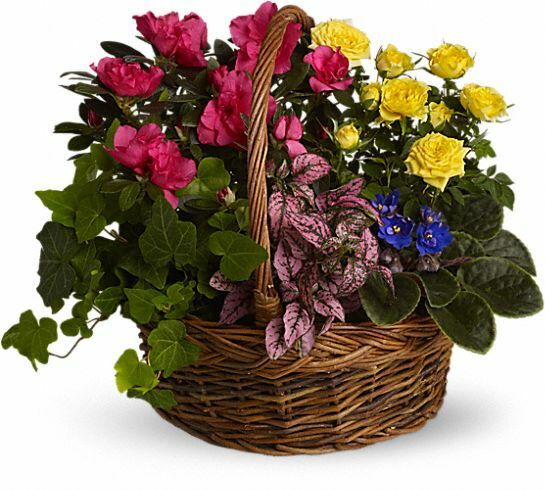 The Laird's and their families purchased the Blooming Garden Basket for the family of Priscilla M. "Perce" Edge. Our deepest sympathies. Aunt Perse was a Beautiful Lady inside and out. Will miss her dearly. The Carters, Dean,Sonia Nick and Terra purchased flowers for the family of Priscilla M. "Perce" Edge. These flowers reminded me of Priscilla's garden every year. We are so sorry for your loss. Angie Blake and Cameron Potter purchased the Vivid Recollections for the family of Priscilla M. "Perce" Edge.